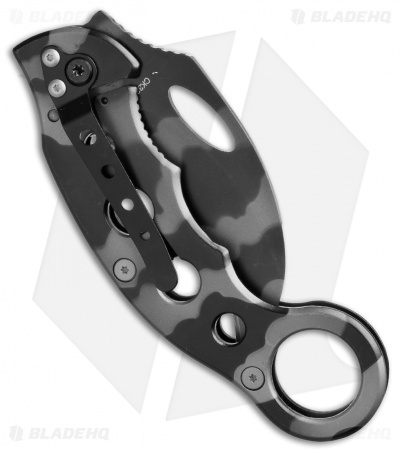 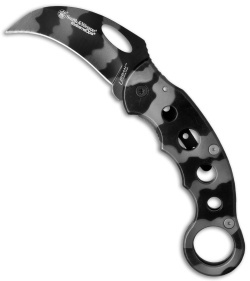 This Extreme Ops Karambit from Smith & Wesson is a slim knife with the integrity of a stainless steel frame lock to keep your confidence up. Both the blade and the handle are urban camo gray titanium coated. Great knife, great price.